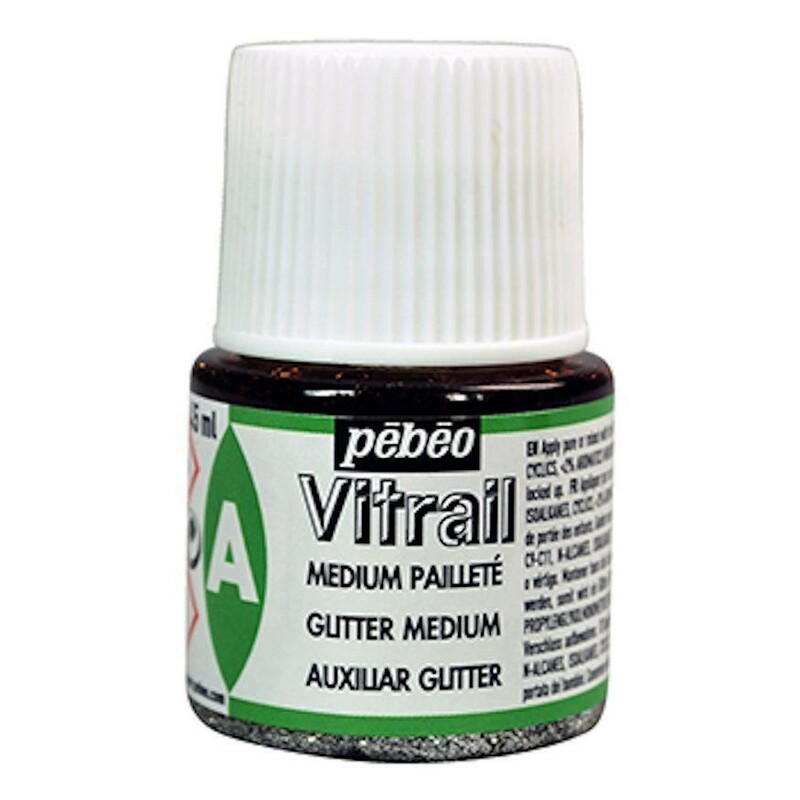 Pebeo vitrail glitter medium 45ml bottle. 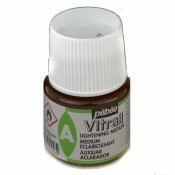 Apply pure or mixed with the vitrail colours to obtain a sparkling effect. Lots at great effect to be made with this paint. 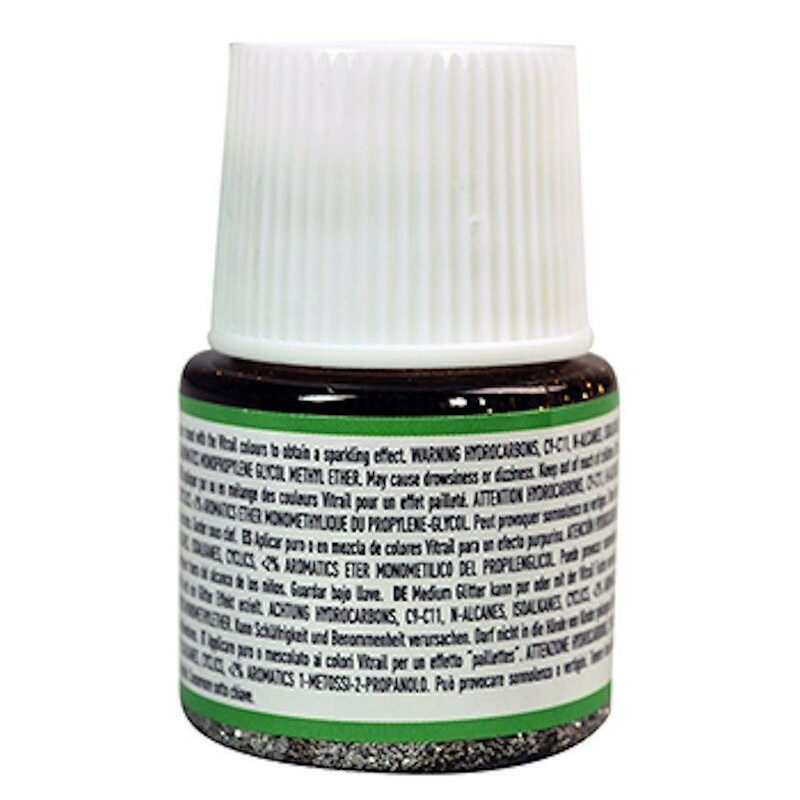 Warning Hydrorcabbons, C9-C11, N-Alcanes, Isoalkames, cyclics, <2% armomatic monoproply g;ycol, methyl ether. May course drowsiness or dizziness.